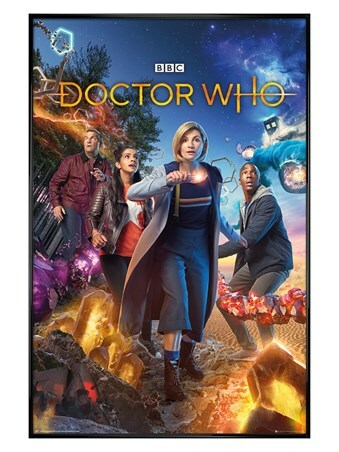 Returning for another whirlwind adventure with the grown-up Jane and Michael Banks, Mary and her magic must find a way to save the family from losing their beloved family home! 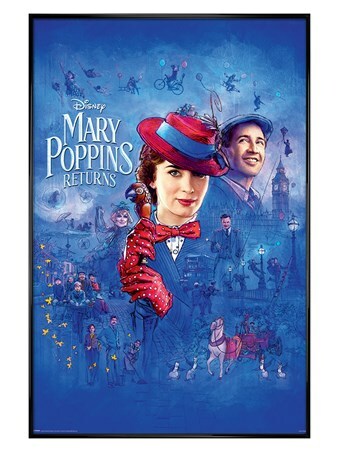 Join Emily Blunt in her portrayal of the classic Disney character, Mary Poppins and get ready to 'Trip a Little Light Fantastic' with this enchanting poster from the 2019 movie. 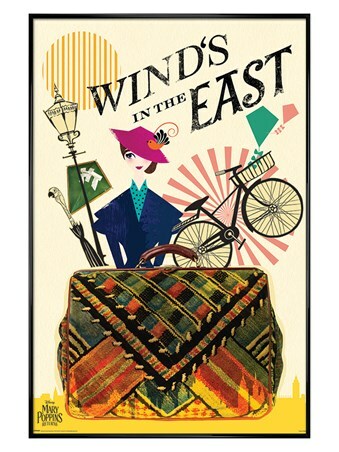 Featuring her iconic, bottomless carpet bag and talking parrot umbrella, this beautifully animated scene promises just as much charm and magic as the original 1964 film. Complete with a 61cm x 91.5cm gloss black plastic frame, fronted with transparent Perspex and ready to hang in your home. 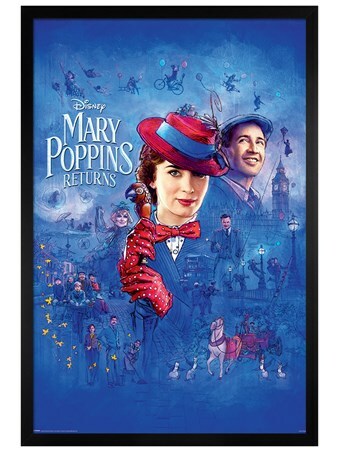 High quality, framed Gloss Black Framed Wind in the East, Mary Poppins Returns framed poster with a bespoke frame by our custom framing service.